This wall tapestry "Windows" shows a design reminiscent of a stained glass window. Full of modern and contemporary design ideas, yet referencing the ancient art of stained glass windows, this piece gives the illusion that we are looking at a stained glass window in many color hues, illuminate by light behind. It is clever and intriguing. 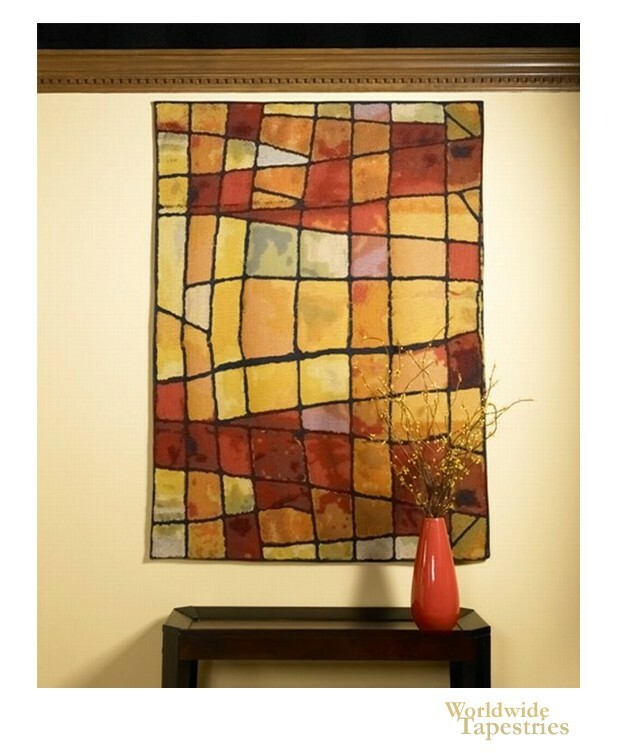 This art tapestry "Windows" is backed with a lining and has a rod pocket for easy hanging. Dimensions: W 59" x H 77"